In September 2015, the global community came together at the UN General Assembly to adopt Agenda 2030 for Sustainable Development, or the Sustainable Development Goals (SDGs). This agenda built on the successes of the Millennium Development Goals, but takes a much broader scope, recognising the importance of integrated and indivisible action on economic growth, social equity and environmental protection to delivering sustainable development for all. It was also the first time that the global development agenda recognised that non-communicable diseases (NCDs), including cancer, constitute a major health and development challenge, impacting every aspect of sustainable development. WHO estimates that 70% of cancer deaths occur in low- and middle- income countries (LMICs) and, by 2030, LMICs are expected to bear the brunt of the expected 24.1 million new cancer cases per year. Given the social and economic burden of cancer in many LMICs, reducing the global cancer and NCD burden is a prerequisite for addressing social and economic inequity, stimulating economic growth and accelerating sustainable development. Implementing cost-effective cancer interventions across the care continuum can strengthen the health system and increase a country’s capacity to respond to a range of health conditions across population groups. 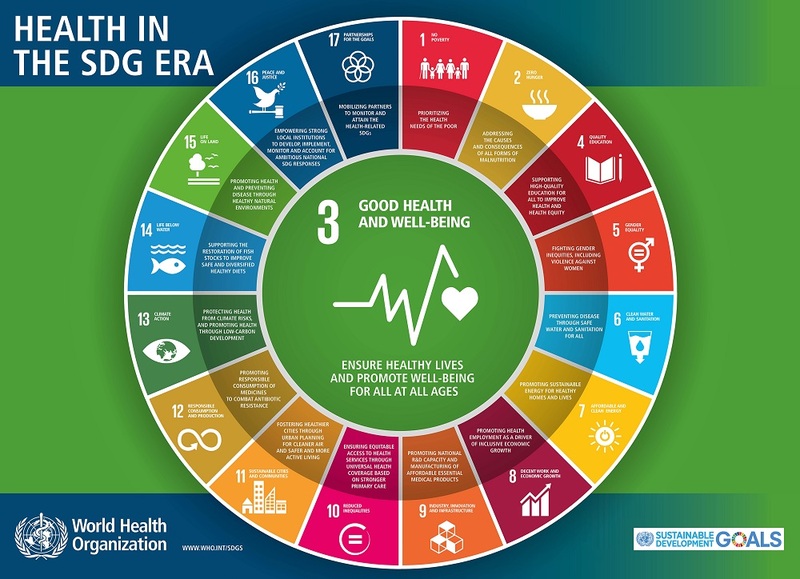 It is thus critical to achieving not only SDG health targets, but also the SDGs more broadly. We know that a healthy population relies on sustainable development but, equally, sustainable development relies on a healthy population. Learn more about cross-overs between the SDGs and cancer using our interactive commitments navigator.